Breed History; . . . 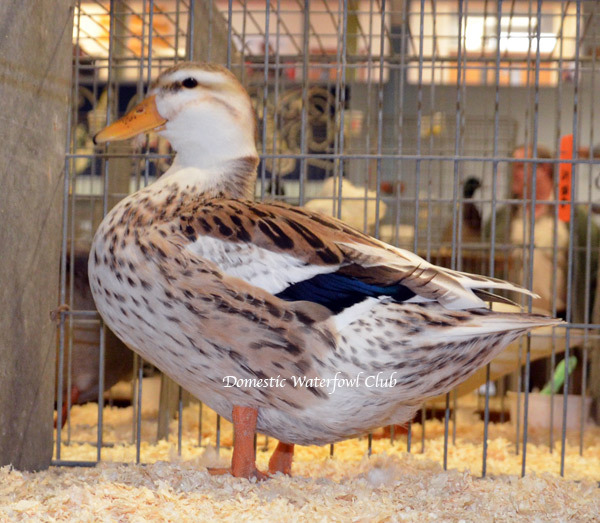 The Silver Appleyard was developed in Britain during the 1930s and '40s by Reginald Appleyard, a well known writer and breeder of domesticwaterfowl. 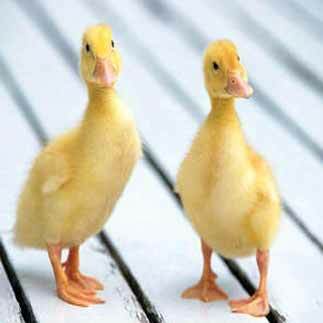 He was trying to produce "The Ideal Duck" for both egg; meat and exhibition purposes. 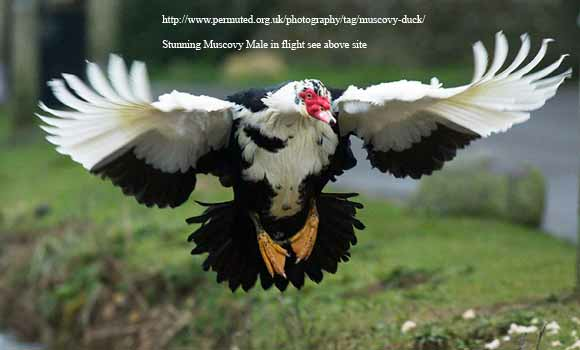 Created on his farm called “Priory Waterfowl Farm” at Ixworth near Bury St. Edmonds in Suffolk in the 1930’s. 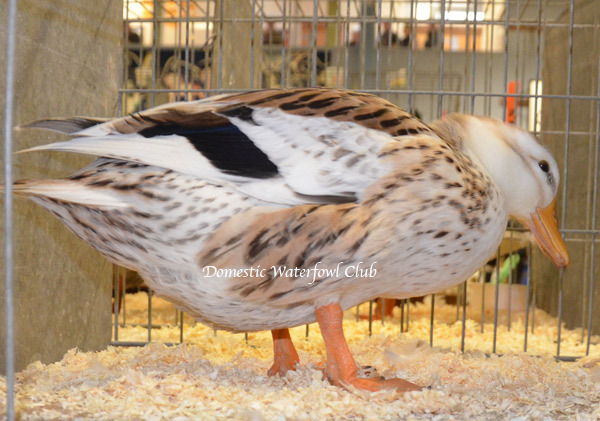 He managed to create this heavy breed that by 9 weeks old could produce a 3 Kg table bird (plucked) with an excellent meat to bone ratio but also one that was capable of laying a good number of large white eggs. 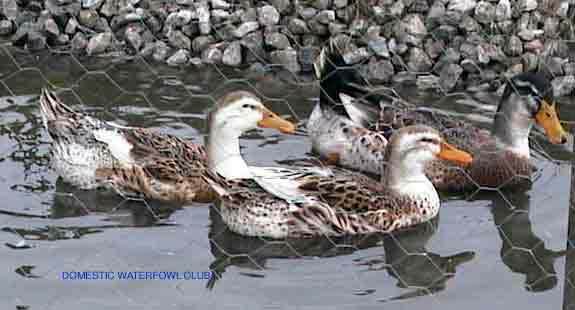 After the Second World War, Silver Appleyard ducks became very rare as the interest in poultry declined in Britain. Tom Bartlett who ran Folly Farm in Gloucestershire and kept 130 breeds of poultry for display to the public was instrumental in reviving the Appleyard during the late 1980’s. :-Uses: Utility: meat and eggs. 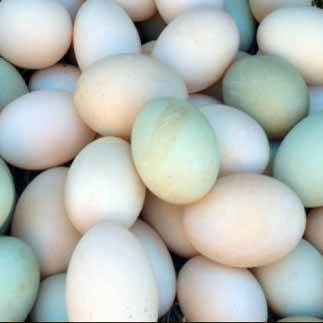 Eggs: 100 to 180 large white eggs. 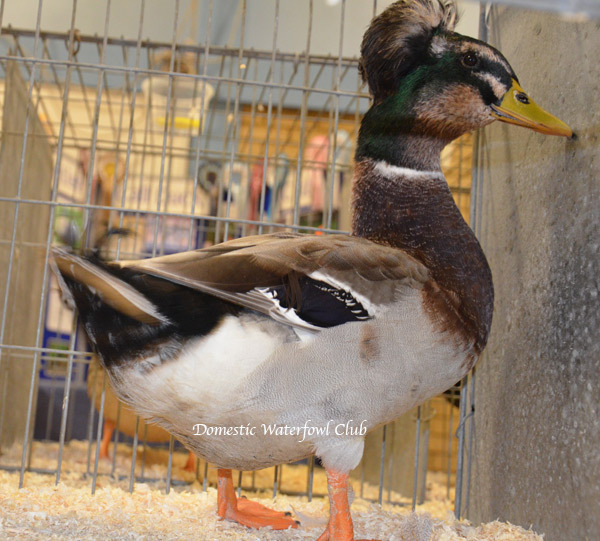 Weight: Drake: 3.6 – 4.1 Kg, Duck: 3.2 – 3.6 Kg. 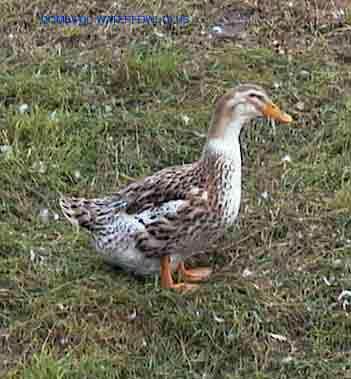 Female: Cream and pale fawn with brown streaks.Speculum (shiny feathers on wings) violet green. Bill yellow to grey green usually marked as in photograph. Eggs: 60 to 160 Eggs. 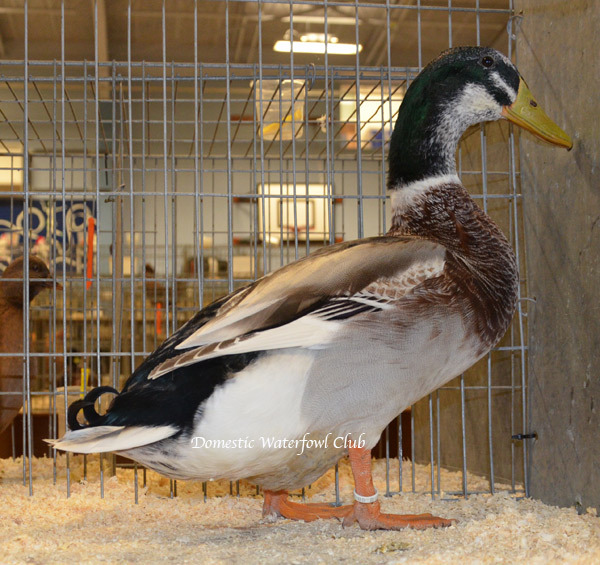 Weight: Drake: 1.4 Kg, Duck: 1.1 Kg. 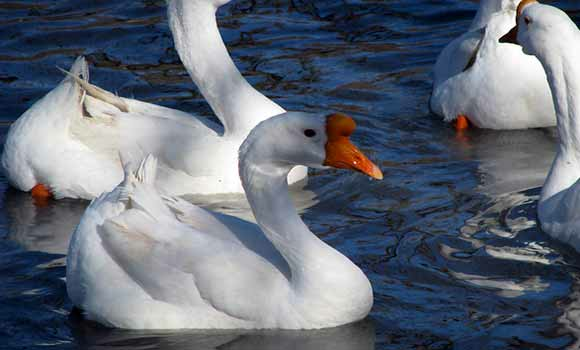 BREEDING CONDITIONS: Kept as pairs or alternatively trios..depending upon the drakes energy levels. 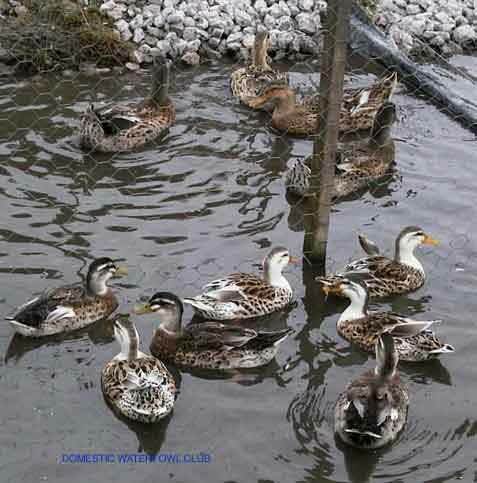 They lay one possibly two clutches per year.......thus will not sit and brood if the eggs are removed. 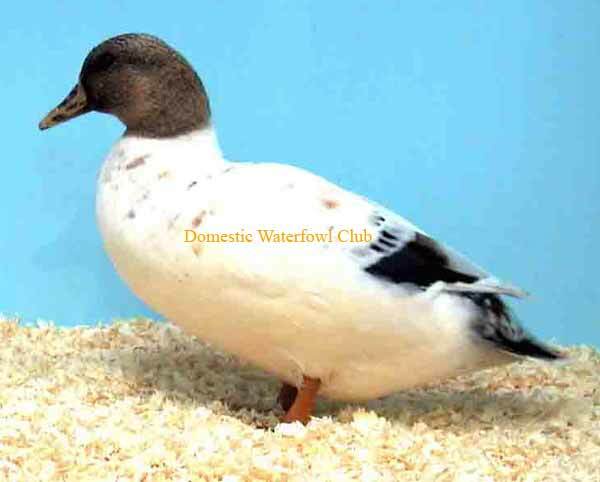 Excellent fliers as are all bantam ducks clip or net new stock until familiar with the territory. 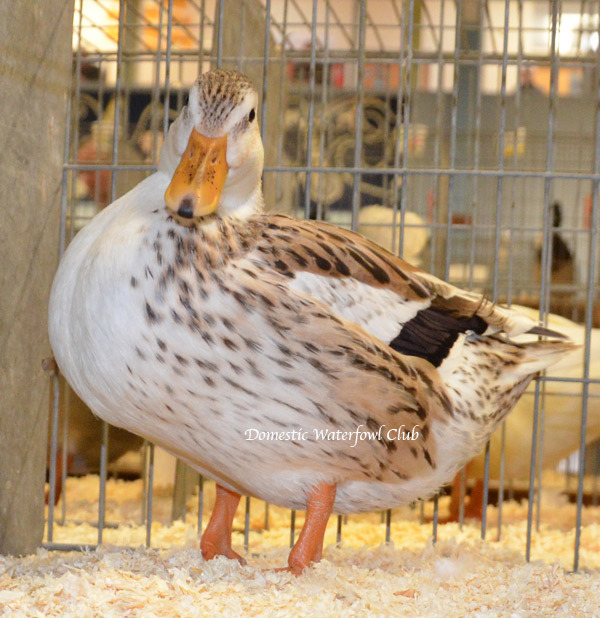 The Silver Bantam duck was originally created by Reginald Appleyard and originally called the Silver Appleyard Bantam. 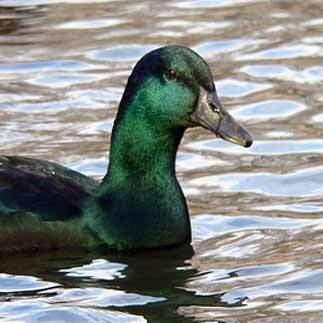 It was created in the 1940’s by crossing a White Call drake to a small utility Khaki Campbell duck. 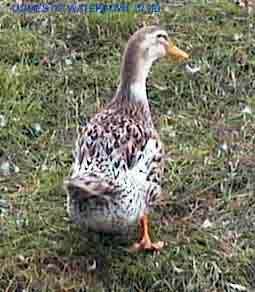 The name change occurred as it did not have the same colours as the Silver Appleyard and looked more like a bantam version of the Abacot Ranger having descended from similar birds (a white drake and Khaki Campell duck). 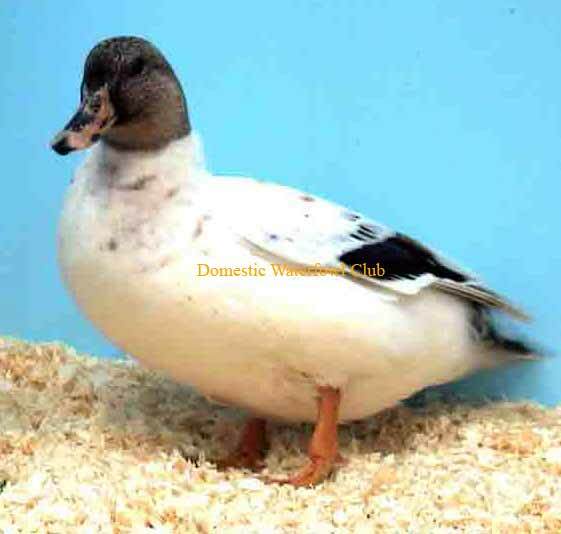 Tom Bartlett of Folly Farm in Gloucestershire took a Silver Appleyard and miniaturised it to create a correctly coloured Silver Appleyard Miniature duck in the late 1980’s and the old Silver Appleyard Bantam became the Silver Bantam. Uses: Exhibition / Ornamental. Eggs: 60 to 160 Eggs. 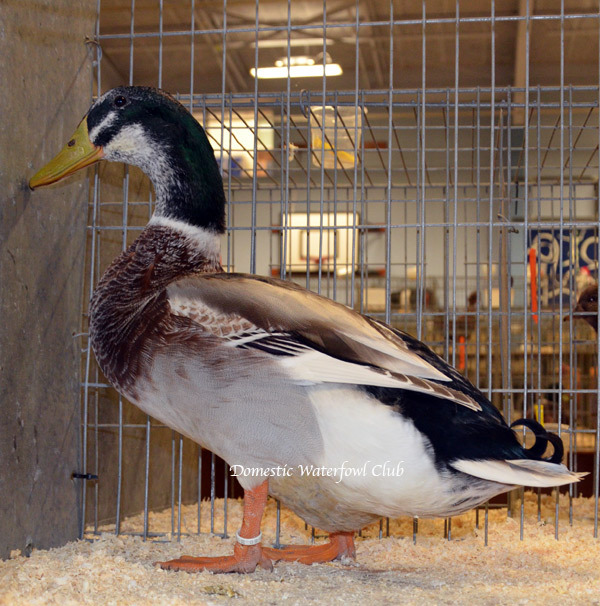 Weight: Drake: 900g, Duck: 800g. 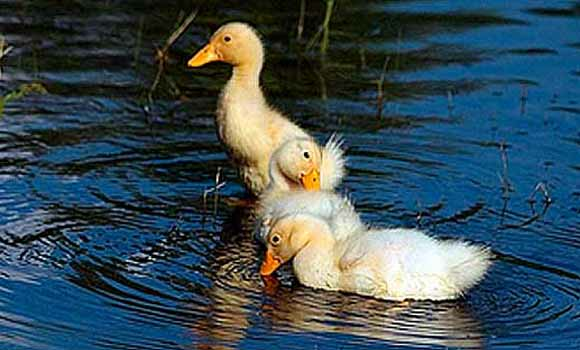 Useful to Know: Visually, these ducks look very much like a bantam version of the Abacot Ranger. COPYRIGHT 2015© DWC ALL RIGHTS RESERVED.